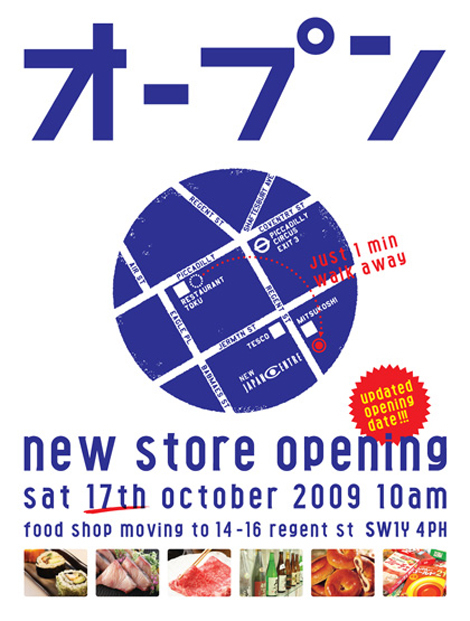 Japan Centre Food Shop is relocating to a brand new premises on Regent Street from Sat 17th October 2009 (please ignore previously published date of 3rd), just around the corner from our original store. We are expanding our current range of delicious, authentic Japanese food to offer the best Japanese experience in London. Bookshop & Home will however remain at our current Piccadilly location. The move to Regent Street will also coincide with the release of our new “umai” brand to offer great tasting sushi, bento, hot deli food and desserts. All the food created at Japan Centre is handmade by our expert chefs, offering you fresh food full of delicious ingredients. 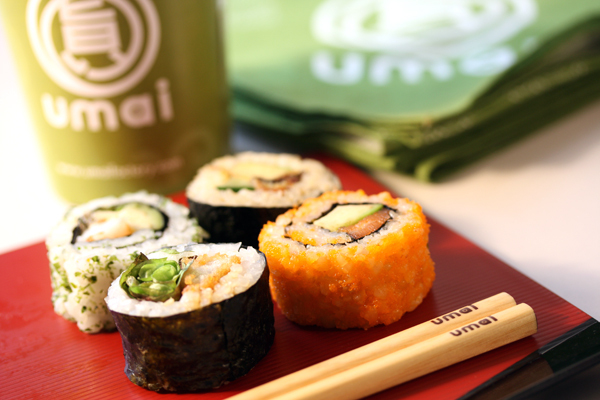 Umai means ‘great and delicious’ in Japanese! 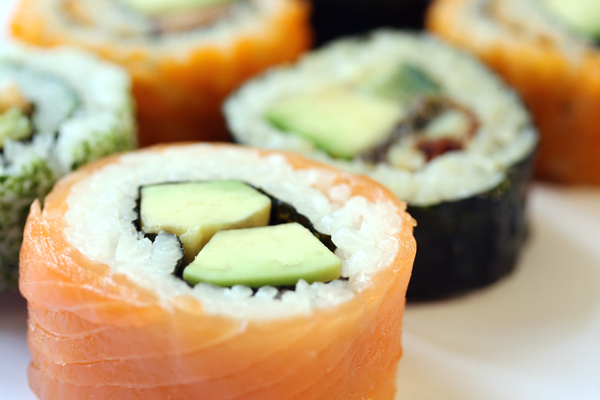 We bring you lovingly handmade, fresh and very ‘umai’ Japanese food to eat at your pleasure! Our new food hall will focus on a greater range of authentic Japanese food and drinks, as well as the best selection of Sake in London. With an updated meat and fish counter and delicious handmade bread and desserts made right here in our bakery kitchen, you can be sure that Japan Centre will have the freshest ingredients available for you always. The Japan Center has gotten bigger and bigger over the last 3 years or so, stocking even more items. It’s nice that the stores (and restaurant Toku) are in close proximity too. I love the Japan Centre, it’s great to hear it’s expanding even further! Wow!! !I hope to came back to London one day…Reagent street!!!Great!! !